The bay of Naples, also known as Gulf of Naples, is characterized by a semi-circular shape and it overlooks the Tyrrhenian Sea, a part of the Mediterranean Sea. The bay of Naples is famous for its scenic landscapes, water and land meet along the long rocky coasts. Plus, the bay of Naples is rich of wonders to visit like submerged parks. 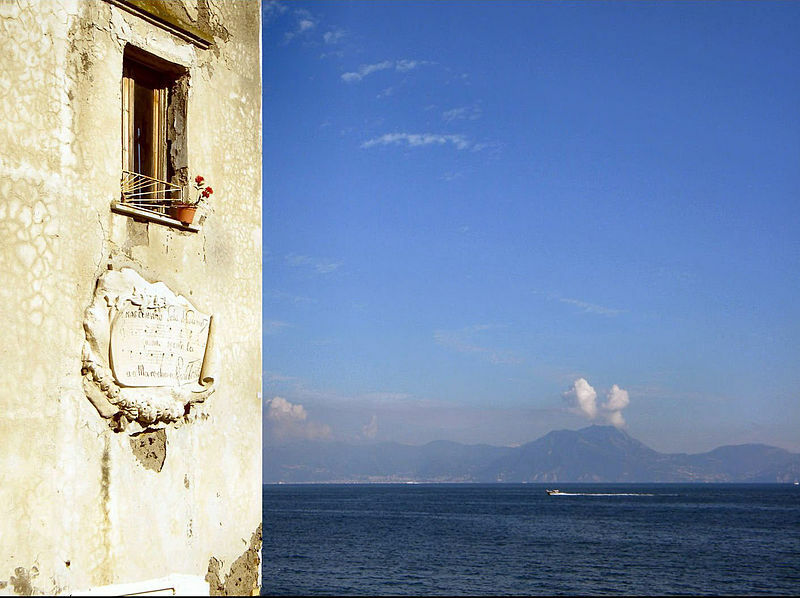 The most famous place of the Bay of Naples is probably Marechiaro, in the Posillipo district. Plenty are the songs dedicated to this scenario, as “Marechiare” and “La Fenestella” by Salvatore Di Giacomo. In the 60s, Marechiaro was the symbol of Italian dolce vita (good life) and a destination for Hollywood stars. What to see: the “fenestella” (i.e. window) that inspired Di Giacomo’s song and the long staircase. The submerged park of Gaiola is a marine protected area of ​​42 hectares of sea that surrounds the Gaiola islands of the gulf of Naples. It extends from the village of Marechiaro to the Trentaremi bay. The protected marine area can be visited by a boat with underwater vision. You can also join snorkeling and diving groups. You can reach Gaiola park from the historic city centre by bus. Once you get off you continue towards a long stairway to the submerged park. Near that bus stop is the Parco del Virgiliano, one of the green lungs of the city that overlooks Neapolitan coast. Not far from Gaiola is the bay of Trentaremi. This is the bay you can see from above from Parco Virgiliano. It is important because it dates to the time when Naples was a Roman city. The bay of Trentaremi is mentioned in a song by pop singer Liberato. Not far from the center of Naples there is another marine protected area, Baia. The area is full of submerged treasures such as banquet halls and statues. Many of these have been taken to the Archaeological Museum of CampiFlegrei. Plus, visiting the coast of Baia, you can see what remains of the old commercial ports. All these places are full of chances: you can swim, snorkel, diving and go through archaeological tours and walks. For those who only want to spend a day relaxing on the beach, it is better go in bathing establishments such as Bagno Elena and Riva Fiorita.